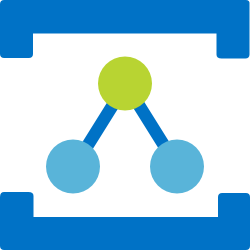 NuGet Gallery | Packages matching Tags:"Connection"
135 packages returned for Tags:"Connection"
This is the Azure Relay .NET Standard client library for Hybrid Connections. For more information about Relay see https://azure.microsoft.com/en-us/services/service-bus/. This package is only supported on Windows 8 / Windows Server 2012 and newer. Tools and extensions for working with data. Provides .NET wrappers around the REST API's for Unity Connection including CUPI, CUMI and CUTI interfaces. Vastly simplifies provisioning applications for Unity Connection applications including handling the signficant security/authentication changes made in the 10.0 release. User-Friendly ElasticSearch c# client for Selecting and Aggregating data queries. It's still in early in development, so things like the name-spaces can still change. Sometimes Entity Framework Core connection to the SQL Server or SQL Azure ends with timeout or service unavailable exception. If you want just to retry connection then use this library. Classes for extending the System.Configuration namespace. Simple retry logic providing resistant connection to the Windows Azure SQL Database. Implemented as extension methods of SqlConnection and SqlCommand classes. Has no dependences to Enterprise Library or NHibernate. Does not require any configuration. Inspired by Microsoft's Topaz project. Provides .NET wrappers around the CUNI notification engine including being able to initiate a monitoring session, edit which mailboxes are being monitored and handling events raised by the server. Can be used in a desktop applciation or a web server based on configuration. It's the instead connect to Azure Sql Database & Sql Server database connector with our ASP.Net applications & less code to create connection to any type of Sql Database. Example: Console, Web Form, MVC5 applications etc. When you absolutely need ADO.NET but want to ditch the boilerplate. Do parameterized SQL with ease, asynchronously or not. Map deep POCOs with granular control beyond that of your ORM. This is the core assembly; to use with SQL Server, get FluidDbClient.Sql. SQL Server provider for FluidDbClient. This library also makes working with Table Valued Parameters a snap. GraphEditor module for Gemini, providing UI controls to edit a graph of connected nodes. Connection library for the .NET Standard 2.0 framework. Allows for implementation of custom commands and tools across a client-server or peer-to-peer connection. Provides extension methods dealing with transactions and affected rows.